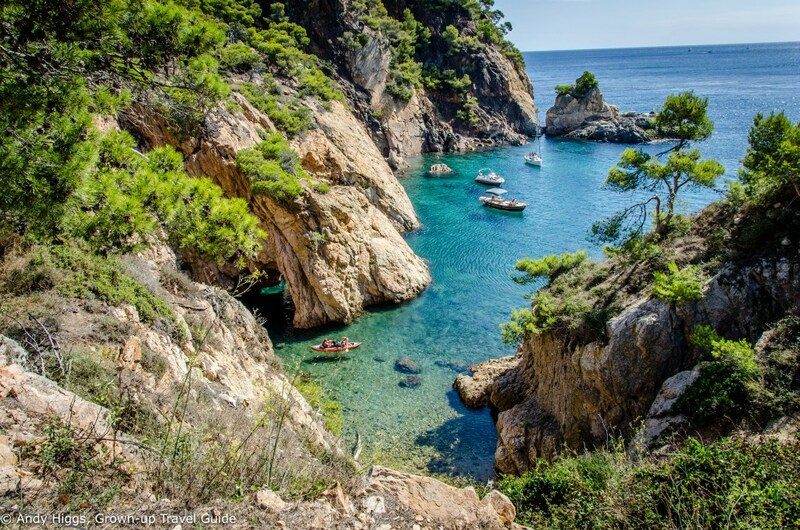 This is the third article in the series detailing some of the many highlights of the Costa Brava in Catalonia. 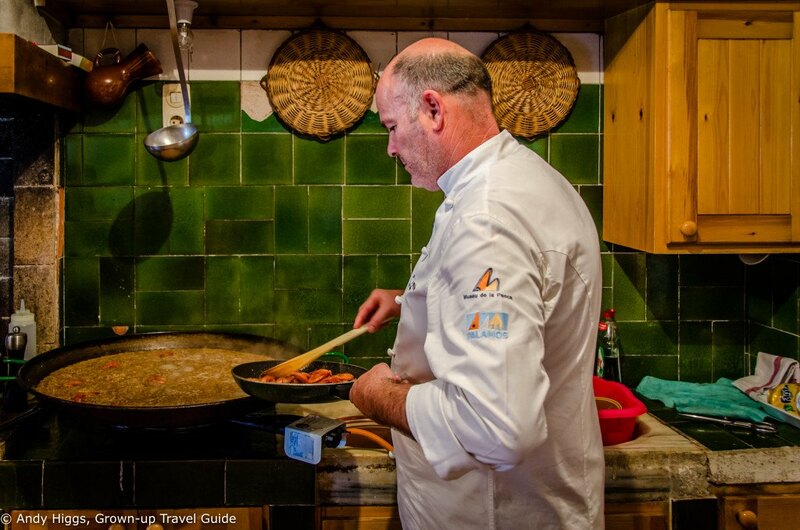 In case you missed them, you can read the post about Blanes here, the one about Tossa de Mar here, and the one about the Lloret de Mar restaurant Sant Pere del Bosc here. 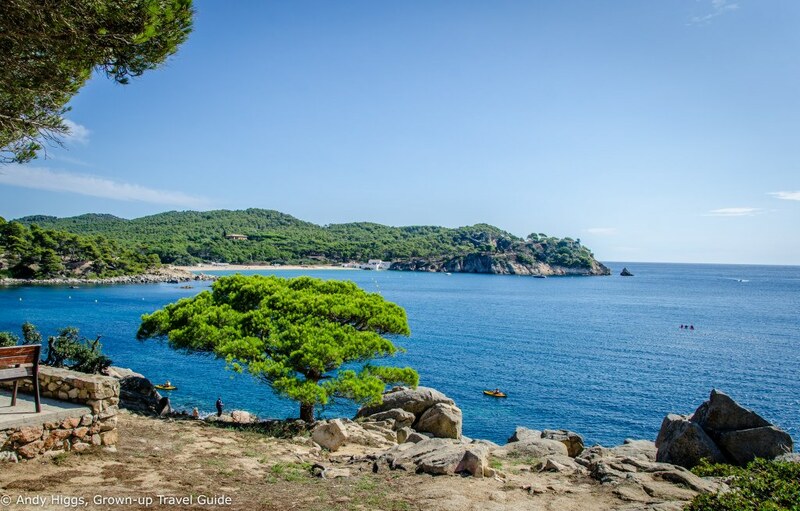 After spending most of the day in Tossa de Mar we were picked up by our driver and headed off for our next destination – Palamos. 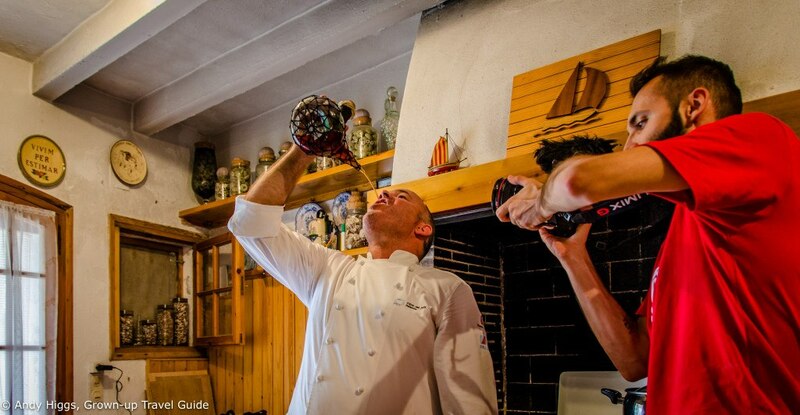 I was a guest of the Costa Brava Tourist Board, but as always, my opinions are my own. The journey took about 40 minutes and we arrived at the very lovely Hotel Trias (see the full review here) and checked in for the night. We had a couple of hours to relax which I used to take photos and film the hotel for an upcoming review before relaxing by the pool as the sun set. Not long after it was time to hit the town in search of tapas and a beer or two. 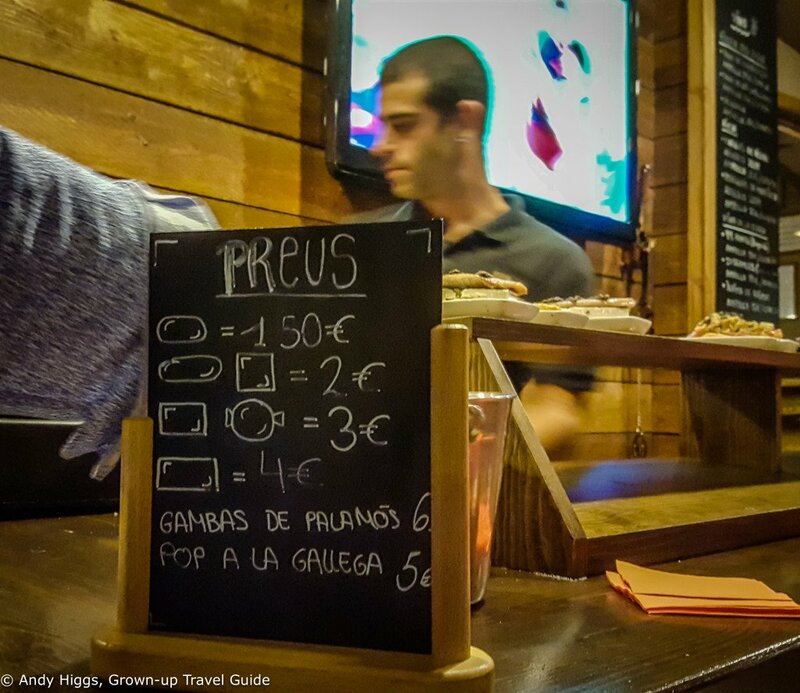 Palamos on a Saturday night is a lively place – even as ‘early’ as 7pm. 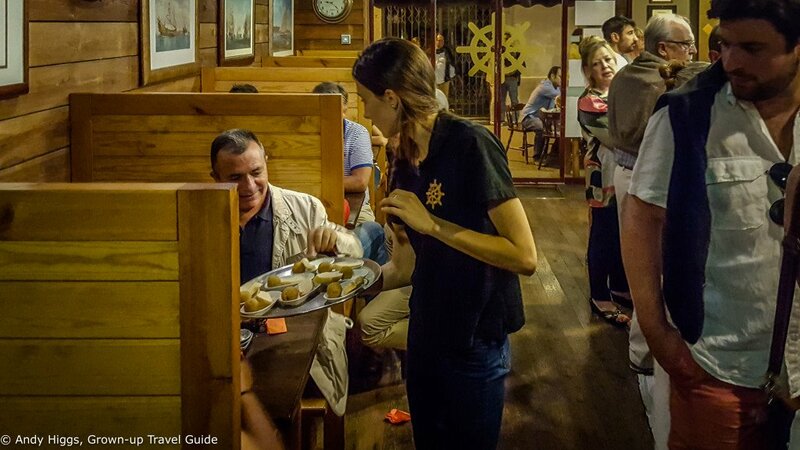 Our local guide took us to a very popular bar where we were lucky to get a table after a short while, Taverna El Galeó. This maritime-themed establishment is famous for excellent tapas – and we were not disappointed. The pricing system was simple enough to understand and rates were reasonable. 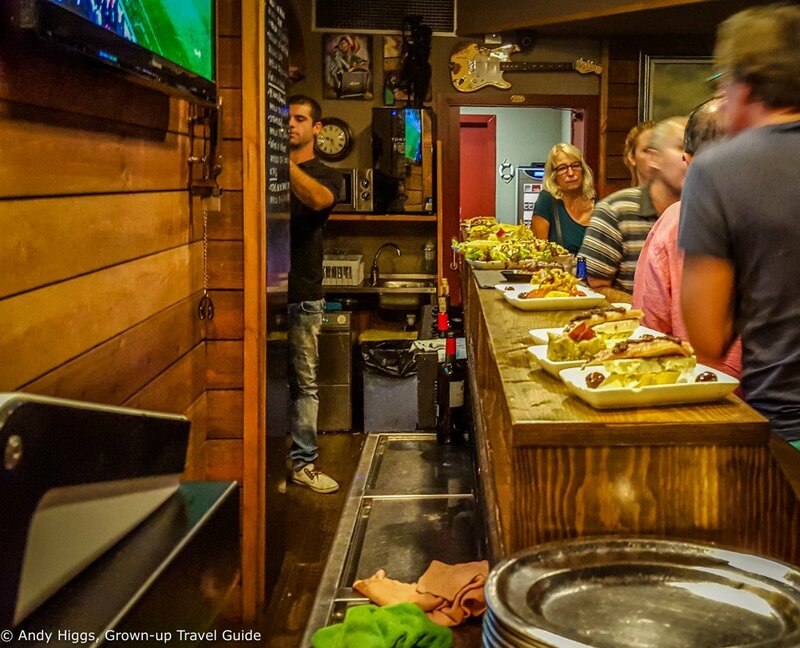 Plates are lined up on the bar and customers help themselves, paying at the end by returning their empties. 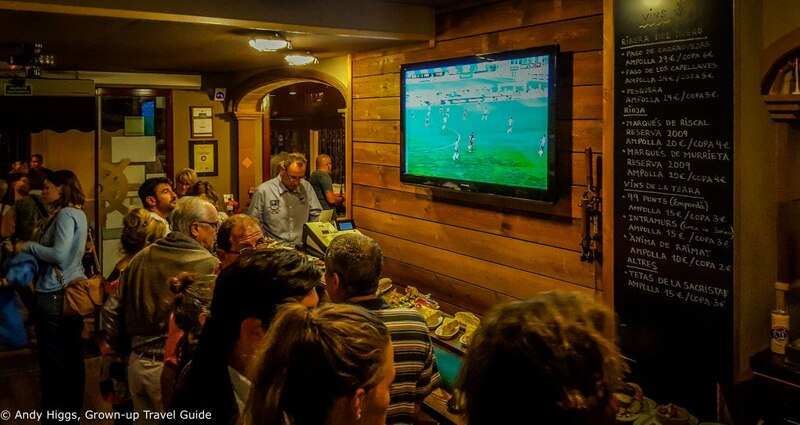 Those – like us – sitting in the booths are not forgotten either – the waitress came round with new dishes on a regular basis so we didn’t have to struggle through the queue at the bar. All the snacks we tried were excellent but seafood was the real standout – wonderfully fresh and tasty. It was just for the photo, honestly. It had been a long and active day so a fairly early night was called for. We strolled back to the hotel and crashed out, recharging our batteries for Sunday. We had two options ofr the morning – sea kayaking or walking a section of the coastal path. I chose the latter as my back had been playing up a little recently and kayaking is always a killer. This has to be the perfect Sunday morning activity. I met up with Dunia from the tourist board and we were dropped just on the edge of Palamos town a short distance from the harbour. The weather was ideal too – warm without being too intense. 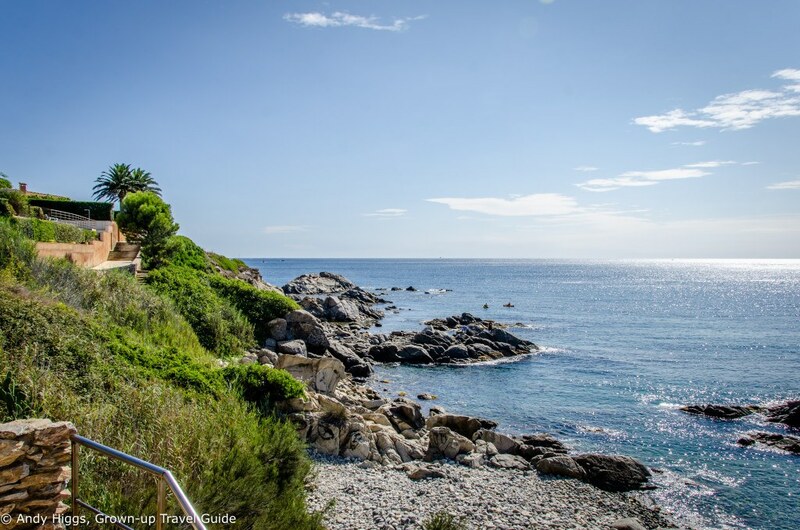 The coastal path allows walkers to explore a long stretch of the Costa Brava shoreline and has been well maintained over the years. 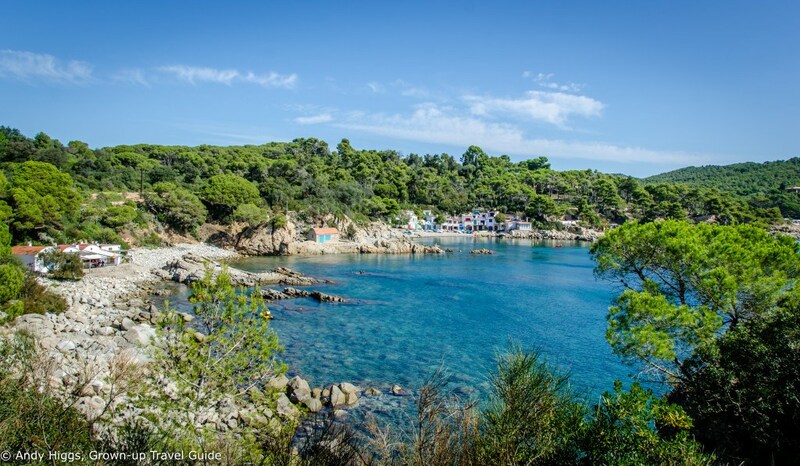 It runs from the main beach to Calella de Palafrugell. We were not the only ones on the route; it is clearly very popular with locals and tourists alike. 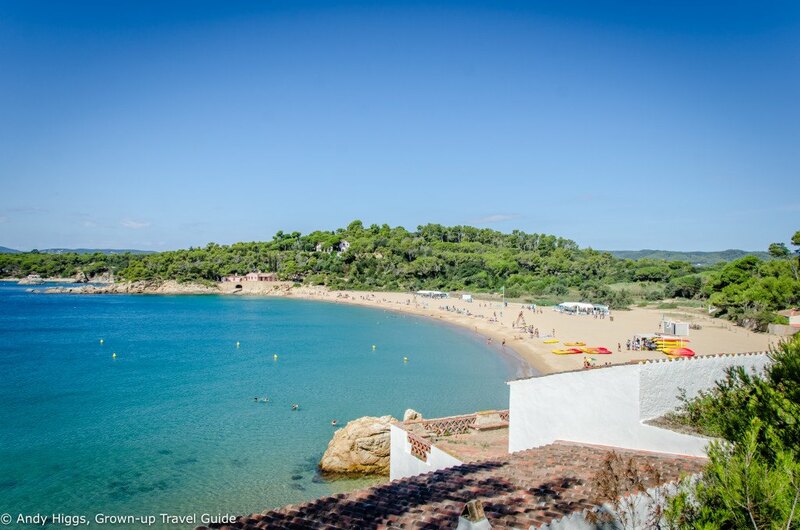 As well as the rugged coastline that gives the Costa Brava its name, there are sandy beaches to discover too. Every now and again we came across these beautiful fishermen’s huts built into the rock. Once used only as a basic shelter for fishermen, these properties are now sought-after holiday homes which stay in families for generations. Most now have modern conveniences like electricity and running water and rarely come onto the market. 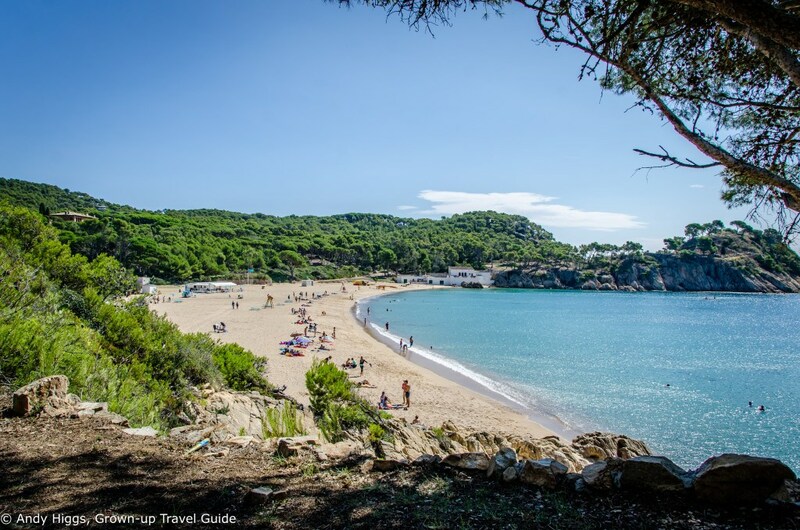 Round the next point we came to one of the finest beaches in the area – Platja del Castell. Wonderfully undeveloped, this is a fantastic tip. Fortunately the locals voted against building plans so it looks as if it will remain unspoiled in the future too. We continued up to the headland where the castle ruins can be visited. 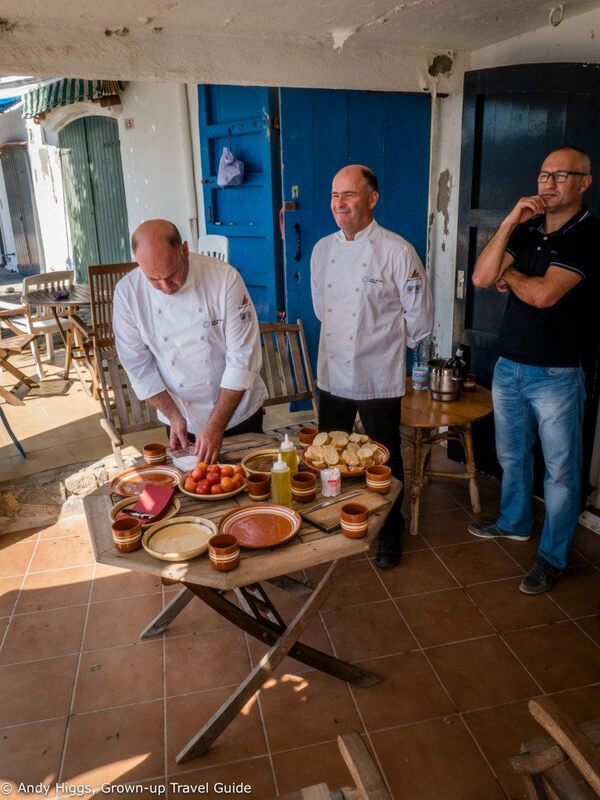 Our two chefs were waiting for us along with the local representative from the Palamos tourist office who had been our tapas guide last night and the owners of the ‘hut’. It’s hard to call it a hut, really, but apparently that is the translation they use. After demonstrating the classic Catalan method of crushing a tomato onto bread which is then seasoned with olive oil and salt upon which an anchovy is placed, we got to try the same and of course eat. You’ll hardly be surprised to hear that I loved these – fresh, juicy anchovies from this part of Catalonia are some of the best in the world. 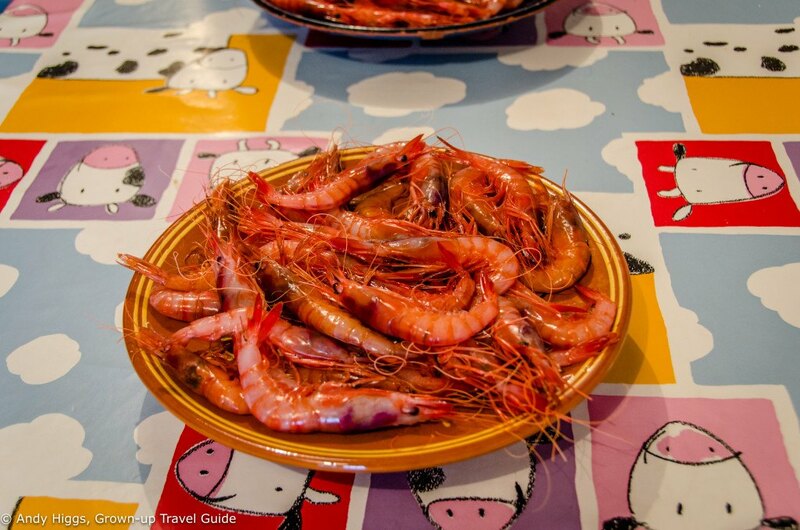 Next it was time to make alioli and fry up some huge Palamos prawns with toasted noodles – a local variation on paella called Rossejat de fideus. What a place for a cookery lesson, right? The best part, though, was eating it all in such great company. 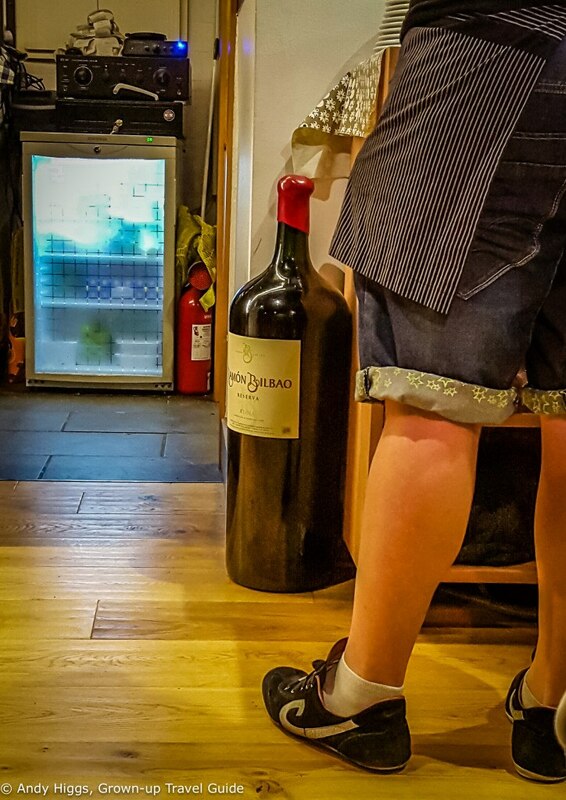 It really felt like being part of a Catalonian family – the conversation flowed as freely as the wine and laughter was hearty and frequent. After lunch we moved outside for drinks on the waterfront. It had been a fantastic way to spend a Sunday. The old town centre of Palamos was originally enclosed in city walls where the residents lived in fear of attack from the sea or land. Sant Joan grew up around the town square and church. Sant Joan de Palamós became a municipality in 1942. Highlights include the Santa Maria church, built in 1417 which houses a collection of sacred art. Santa Eugenia de Vila-romà Church dates from the eighteenth century, although it was built on the site of an early tenth century chapel. Visit Carme Chapel, the church for the poor for the old hospital, which has now been absorbed into today’s regional hospital. Built in the eighteenth century, today it is a cultural centre, a gateway to local heritage and an art space. In Palamós Cemetery you can find the Creu del Portal, a cross from 1593 which was located in the Plaça dels Arbres and has been at the entrance of the cemetery since 1904. Explore the Barri del Pedró district – an area filled with the light that is characteristic of the Mediterranean and which culminates in the park of the Augustinian Convent and the eponymous square. Finally the Eixample is an area constructed in the late nineteenth century to meet the demands of industry by expanding the town and incorporating the train line that runs between Palamós and Girona. 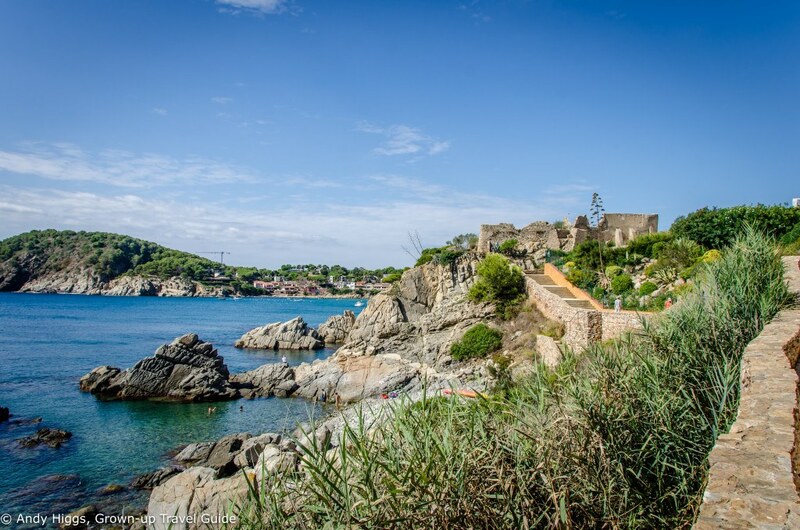 The area surrounding Palamós was bought by King Pere II in 1277, who wanted to possess a strategic position north of Barcelona in the struggle for expansion and dominance taking place around the Mediterranean. In 1279 the same King drew up a town charter for all those who wanted to live in the village, then known as “Palamors”. 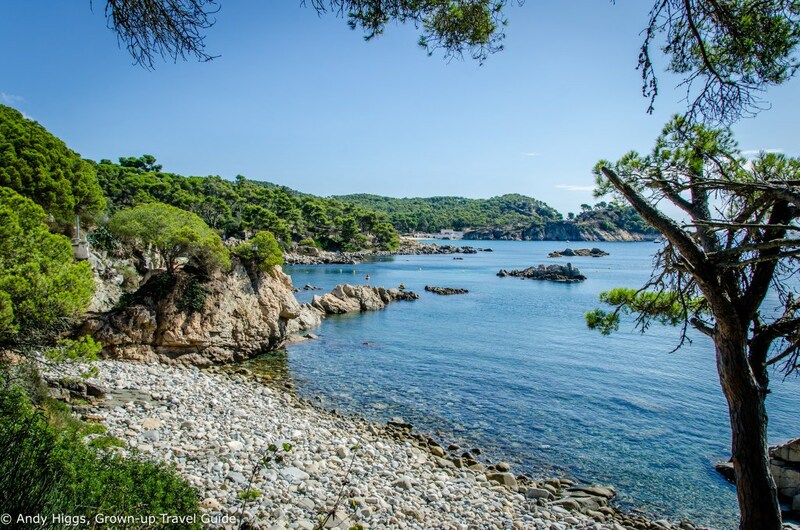 Nowadays the port of Palamós is one of the main seaports in the province of Girona, and has a commercial dimension alongside fisheries, tourism and culture. 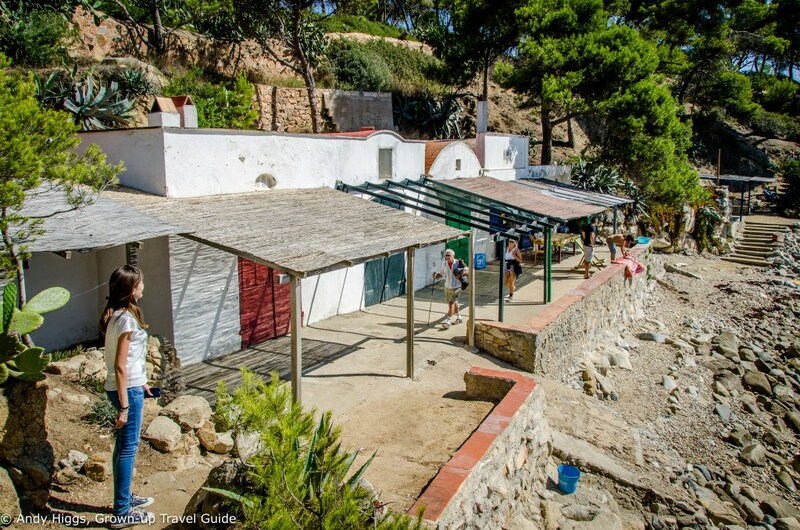 The Fishing Museum, housed in an former boat shed, which is the first museum dedicated to fishing around the Mediterranean. The museum also has fishing boats; real floating museums you can visit. The Fish Market, where you watch the fish auction every evening from Monday to Friday with the local fishermen. 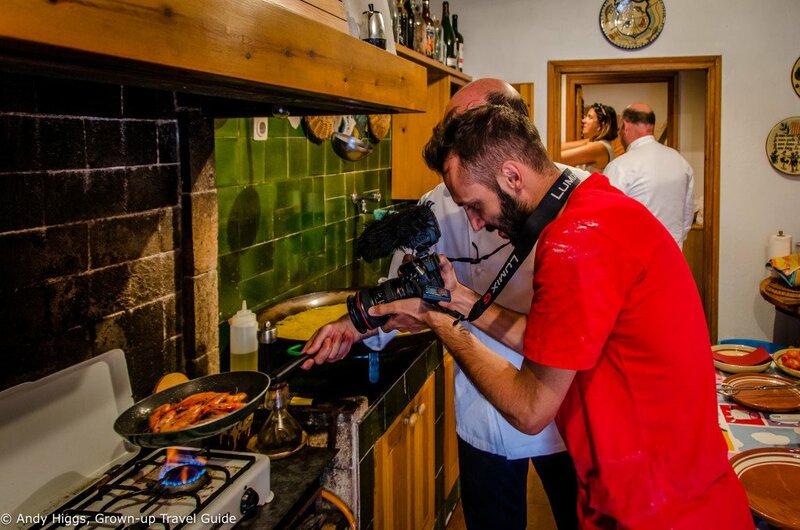 ‘L’Espai del Peix’, mentioned earlier in this article, is a gastronomic experience that forms part of the Fishing Museum where you can learn how to identify, prepare and cook fish, from the point of view of traditional seafood cuisine. 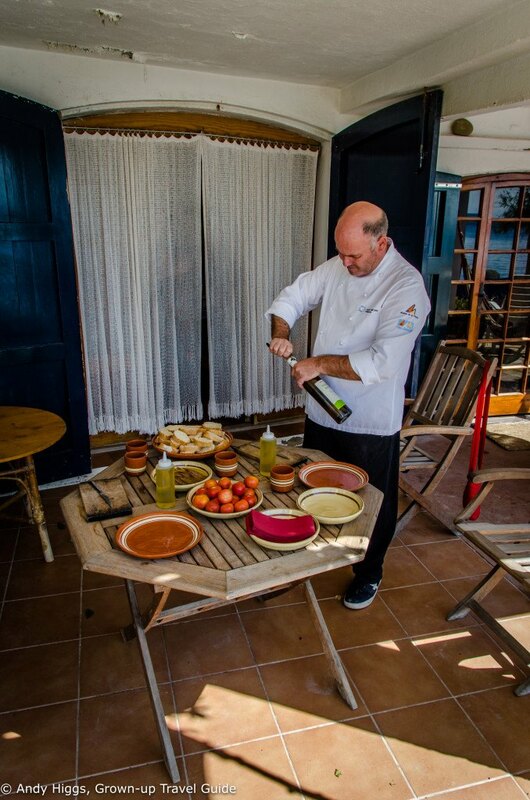 There are courses, show-cooking, workshops and tastings of typical fish dishes. Outside town, this area includes the plains surrounding the river Aubi, the Gavarres mountains and the Mediterranean sea – a stunning landscape. The Gavarres mountains are an Area of Outstanding Natural Beauty, and are representative of northern Mediterranean coastal mountain ranges. 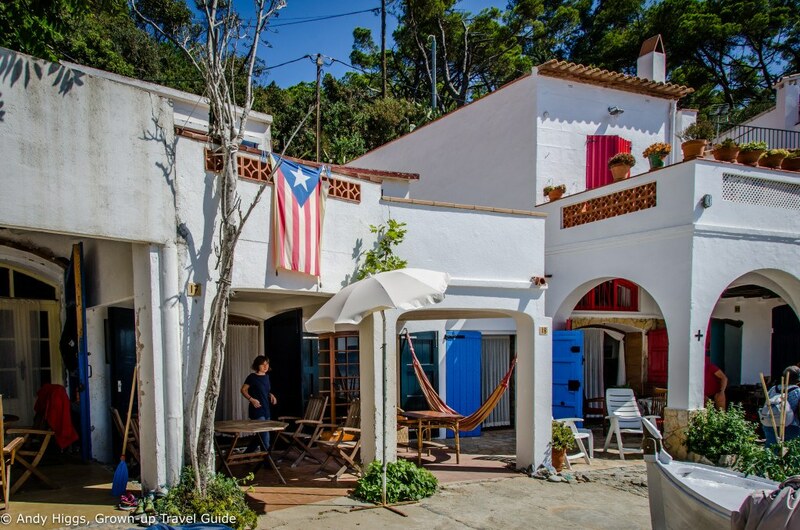 They speak of the traditional way of life in the town with their characteristic vegetation of oaks trees and heather, along with the architectural elements that have defined the identity and character of this town for a thousand years. ← How much would a movie road trip cost? 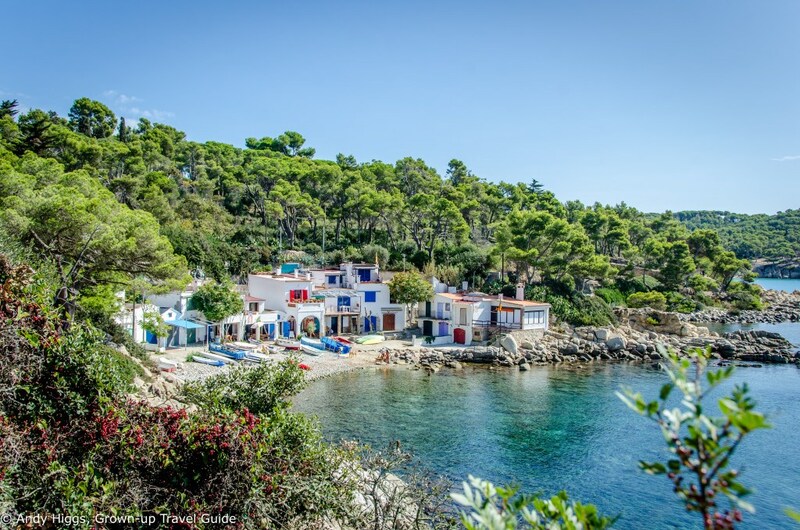 Thanks for this lovely article about Palamós. I’m gald you enjoyed our town and our food!